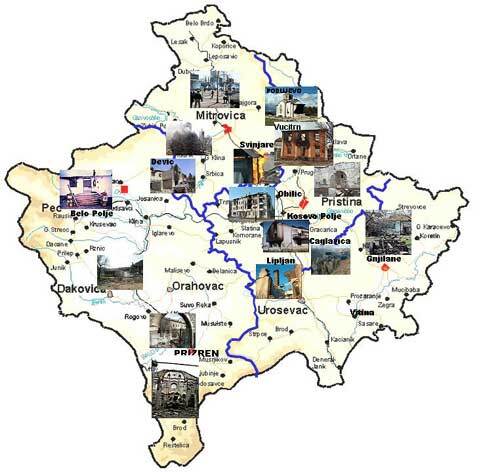 With the arrival of international forces and the establishment of institutions of international administration in the southern Serbian province on June 10, 1999, the problem of Kosovo-Metohija has not been solved. In the past ten years, the remaining Kosovo Serbs and other non-Albanian ethnic communities have been forced from their homes while at the same time suffering the destruction of the property, graves and cultural heritage (churches and monasteries) that are symbols of the centuries-old presence of the Serbian people in this territory. The violence spurred by ethnic Albanian extremists and ethnic cleansing of the Serb population on March 17 and 18, 2004, have shown once again that the existing provincial institutions, as well as the institutions of the international administration in Kosovo-Metohija, have failed to complete their mission and have not secured a real functioning and existence of a multi-cultural society in the province.